Also, check out George's photo galleries of his trips to Israel and Uganda! The Rev Dr. George Byron Koch (coke) has been the Pastor of Resurrection Church, West Chicago, since June of 1994. The church changed its name to New Jerusalem House of Prayer in June of 2015. He received a Bachelor of Arts degree in Physics in 1968 from Elmhurst College. While in college he was active in the Civil Rights Movement, wrote a newspaper column, hosted a series of local radio programs and led a band called “The Establishment.” He earned a Master of Divinity from Church Divinity School of the Pacific in 1992, and a Doctor of Ministry from King’s College and Seminary (now King's University) in 2003. At 22 he became Vice President of Tomorrow, Inc. He worked in the recording and film industry in California, with musicians like Canned Heat, Lee Michaels, Eric Burdon, War, Spencer Davis, Booker T. Jones, Holly Near and others. He did some writing for television, including a pilot series for Sesame Street with co-writer Gil Baldwin, some fiction, parts of a couple of books, and an advice column for a Los Angeles newspaper. In 1981 he founded Koch Systems Corporation, one of the first venture-funded national software companies, and was its president and CEO. He has also been a director of a number of corporate and nonprofit boards. In 1989 he authored the bestselling book Oracle: The Complete Reference, the number-one book in its class for 29 years, and translated into eight languages. It has sold an estimated 1,000,000 copies worldwide, and literally millions of programmers have learned design and programming fundamentals and advanced methods from its pages. “Back in the early 1990s, when Oracle was up against the ropes with users and everyone else, Ellison brought in George Koch to bring a little user focus to the company. 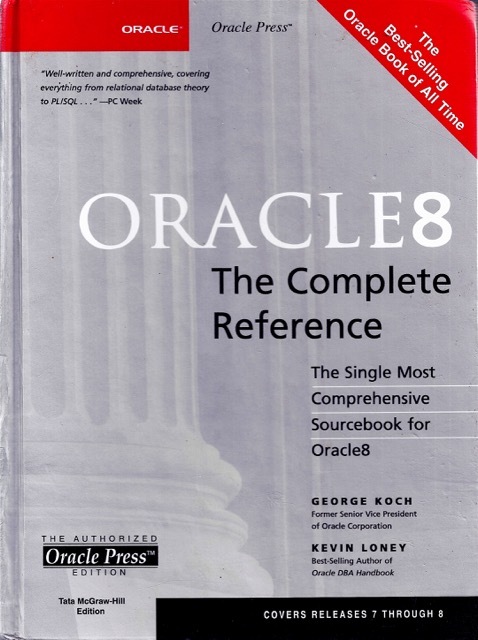 It was an enormously important moment, and in my opinion Koch’s arrival was an essential part of the turnaround that propelled Oracle forward through the 1990s.” —editorial in Managing Automation Magazine, May 2002. 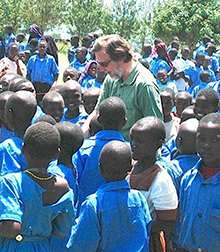 In 1994 he left Oracle to become the pastor and teacher of a small Midwest church, Resurrection, in West Chicago, IL, and established long term relationships with ministries in Uganda, India and Israel. George has preached more than 1100 sermons (most available online), and has appeared numerous times on local and national radio and television programs (including Moody Broadcasting, WYLL and The 700 Club). He has led and taught secular and religious conferences, and written numerous magazine and newspaper articles, from Christianity Today to The Wall Street Journal. He is the author of the books The Country Parson’s Advice to His Parishioners and the widely-praised What We Believe and Why, which examines the Jewish roots of the Christian faith, the origin and development of Christian doctrines and practices, and the scriptural call to unity in Jesus across denominational boundaries. The audio version of this book (on Audible and iTunes) is now heard on nearly 100 radio stations nationwide and in England. He has also produced an online course in Hebrew and the Tanach (the "Old Testament"), called Starting with Genesis. It is available free. George is Dean of a group of Anglican churches throughout the Midwest. 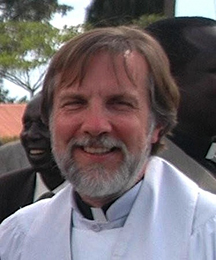 He is a part of the Evangelical Fellowship in the Anglican Communion and the Anglican Church in North America. He serves on two boards: CMJ, the Christian Ministry among the Jews (the oldest Christian ministry to the Jewish people, and the support for Christ Church in the Old City of Jerusalem, the oldest Protestant church in the Middle East), and The Initiative - a network of leaders, ministries, churches and missions that strive to live out the unity for which Jesus prayed in John 17. His interest in physics continues, and he is also a potter and a member of the American Ceramic Society. He and his wife Victoria married in 1979, and they have two sons, George August Koch, a writer and freelance Christian copy editor, and Isaiah James Koch, who is in the grocery business and an avid bowler.